You will find a mojito in any club or restaurant that you walk into in any part of the world, unless there’s something wrong with that joint. It’s no secret that mojito is one of the user-favorites of drinks all the world over. 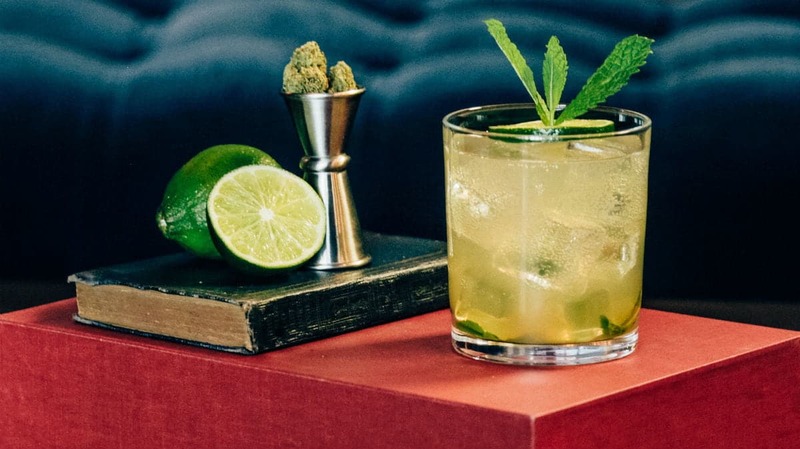 Given the increase in acceptability status that people are having for cannabis, it’s no secret that a classic mojito infused with weed is on the menu. Since weed has become accepted in many places, there are a lot of weed recipes that have been coming up. Cannabis is being made into products that can help you fight inflammation, stress, and anxiety so why not a drink that makes you feel so good when you’re out having fun? Besides, you will enjoy a good time, while at the same time enjoying the health benefits of cannabis. So, how do you make a cannabis-infused mojito? The first step is to decarboxylate the product. This is one of the most important steps. Remember that in its raw form, weed has CBDA and THCA, not CBD and THC. These compounds are not as bioavailable as you would think, because of the additional carboxyl group that they have. To do this, assume you are about to prepare your weed into a joint and grind it. After that, air them out on a tray and then bake for an hour between 110° and 116°. Next, we’re going to infuse the rum with weed. Cut the foot of the pantyhose off, and insert the baked weed. Tie the end properly and insert it into the bottle of rum. Leave it for at least one day. You can also allow it to stay still for up to one week. Remember that the longer you leave it, the better the infusion, and the higher the potent of the resulting mojito. Once you have the rum set to the moment you feel it’s ready, you can then start preparing some mojitos. Have the mint, sugar and lime together and pound them. Do this until the mixture is mushy and oozing a liquid. Throw in the crushed ice and add one or two shots of the infused rum. Fill the rest of the glass with carbonated water. You can garnish with mint sprig if you want. This is the simplest recipe for making a weed-infused mojito. As you look forward to the holidays, perhaps you can try making this and perfect it, and then throw a surprise for your friends and family when they come together for the holidays. There’s so many things that you can do with weed, and this is just the tip of the iceberg. Next PostNext How is Brick Weed Made?